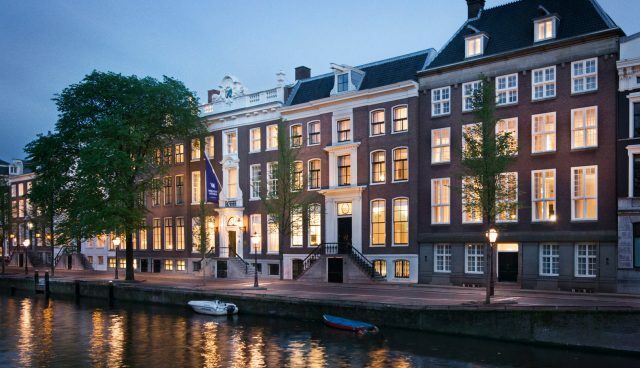 The authentic structure of the houses brings a timeless Dutch history to the Waldorf Astoria brand. 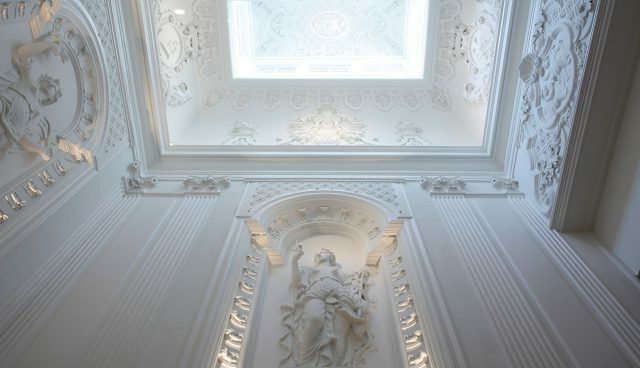 Prime period pieces, such as the staircase — rising through gleaming marble and stucco, Rococo licks and curls, and 17th-century ceiling paintings, have all been carefully restored. On top of this, we introduced an elegant, classic contemporary-styled layer with strong references to location and maritime history. Modern facilities are seamlessly integrated into the setting of period luxury. 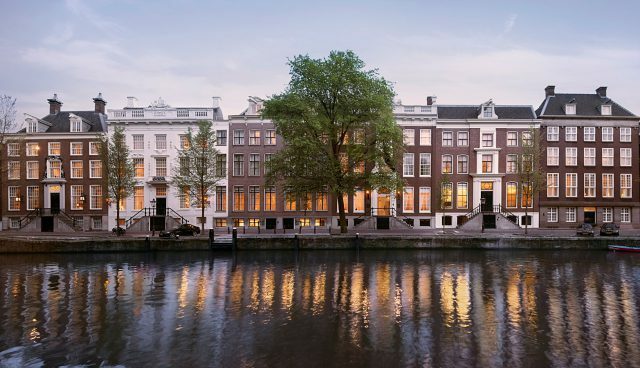 The transformation of the interior space references those famous Dutch paintings with views inside of views and carefully framed distant spaces. The Bel Etage has been visible from the canal side through the ages and Waldorf Astoria maintains this tradition by locating most of the public areas on this level. Full height views into the garden, and over the canal create a perfect setting for celebration and other festivities. 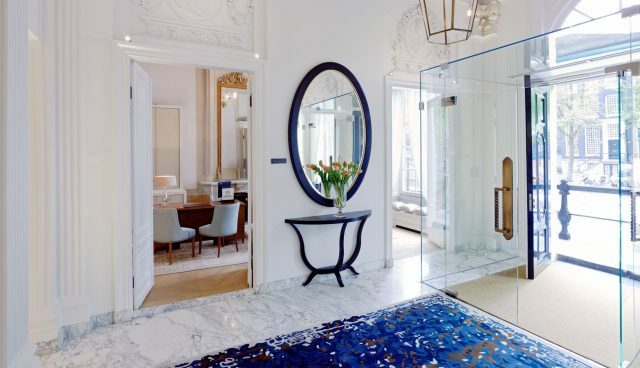 In contrast to the grand Bel Etage, the souterrain, which also leads to the spacious and serene courtyard, is a more intimate space and the perfect location for the Spa, all-day dining room, and the bar. Guests are invited into the garden by way of the Peacock Alley, which has been extended down to the souterrain. Rather than dismantle the heavy vaults in the souterrain (the canal houses were once used as a bank), we transformed them into a wine cellar and a robust vault bar, while the remaining treasure boxes serve as a gorgeous backdrop. 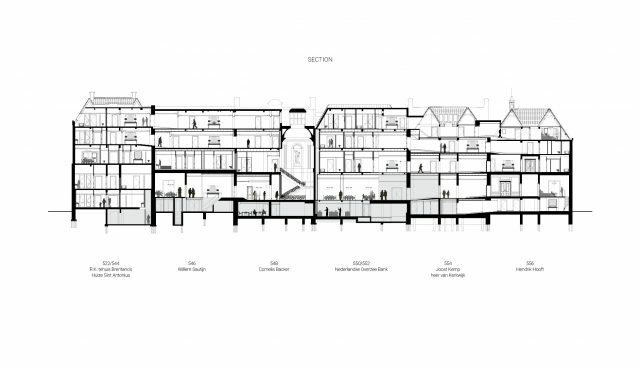 The upper floors were more of a challenge as a number of existing historical walls had to remain intact. Existing perforations could be closed off but no new openings were permitted. This set of circumstances led to a guestroom arrangement that retains the original integrity of the individual canal houses. Because no two rooms are alike, the result is a wonderful variety throughout. 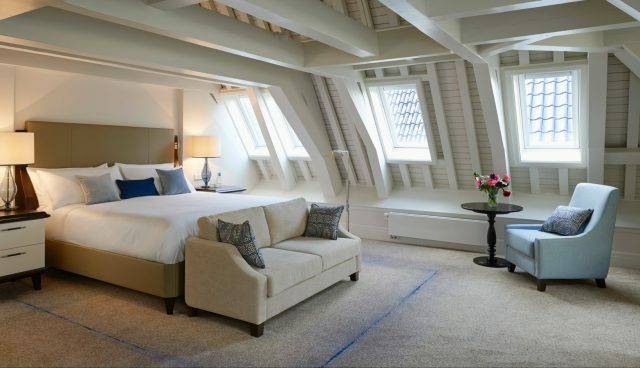 The period architectural elements in the top-of-the-range suites remain intact; however, the rooms under the rafters are quirkier, with more of an individual charm. 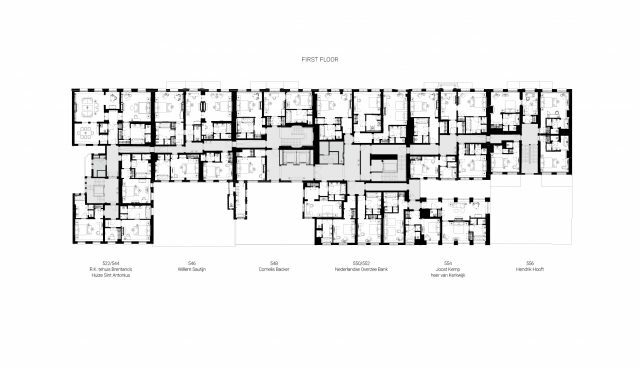 The small pockets of space found throughout the buildings provide an opportunity to create the unexpected, and give each of the 93 rooms and elegant, one-of-a-kind quality. See more of the Waldorf Astoria in this video.